So let’s get the cold hard truth out of the way early; Battle for Zendikar stinks. Not in a “reminiscent of Innistrad scenario, where every card looks poor on paper but incredible synergies prove us all wrong” kind of way. Almost half of the cards in this set are giant, hulking Eldrazi Limited bombs. Most of the commons are built with a slower, grindier Limited format in mind, giving us when I was hoping for something closer to Steppe Lynx. With big changes coming to Standard in the form of the revised rotation schedule, it’s clear that WoTC planned BFZ to be a slower, synergistic reset for Standard. Pair this with a design philosophy that pushed WoTC away from spikey hyper-aggressive Landfall Limited and annihilator and we get a set that truly is designed with Standard and Limited in mind, leaving Modern on the sidelines. This has happened before, however, with sets like Innistrad and Mirrodin Beseiged. We’ll get to the decklists in a second but first I wanted to throw my hat in the ring and possibly give some context to what we are seeing. Relatively underpowered sets compared to the “norm” are a common sight at this point in Magic design. Power creep within two-year ranges is common and Wizards often prints a “reset set” that looks underwhelming on paper compared to its neighbors (Worldwake) but gets us back to where we need to be. Even these releases normally show some Eternal love however (Liliana of the Veil, Inkmoth Nexus, Green Sun’s Zenith) which is where the frustration comes from regarding Battle for Zendikar (in my opinion). While it’s true that Battle for Zendikar is disappointing, I think there’s a reason for it, and possibly a silver lining. as a slightly easier to cast Sowing Salt? and as basically the only exciting additions for Modern Allies? for an interesting, but maybe underpowered combo? That’s it?! There’s no denying that Battle For Zendikar just doesn’t have the same “oomph” as recent sets for Modern, and I think that’s the point. Read that sentence again. Recently, Modern has experienced a few violent and dramatic shifts due in small part to discovery of old tech (Amulet of Vigor/Nourishing Shoal) but mainly new printings. Look at what delve has done to the format! Gurmag Angler and Tasigur, the Golden Fang have contributed to a Modern landscape that is drastically different from what we have seen pre-Khans of Tarkir block. 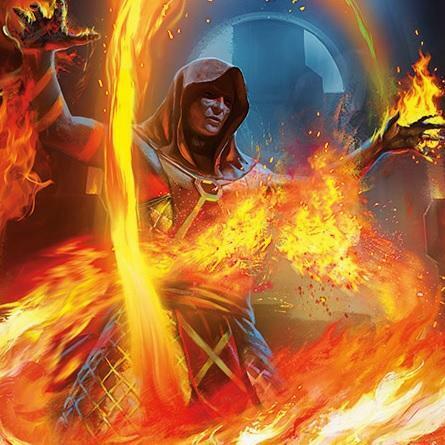 Breathing life into a whole new archetype in Grixis Control, affecting the de facto best deck (U/R Twin), and causing ripples through the rest of the metagame; their rap sheet is impressive! Treasure Cruise and Dig Through Time are no longer with us, but they wasted no time making their mark on the format. Kolaghan’s Command allowed both decks access to direct, maindeck artifact hate, ever-present graveyard synergies, and resilience to discard that Modern has never seen before. Even Magic Origins spoiled us a little bit. The much maligned Jace, Vryn’s Prodigy quickly silenced his naysayers, and is fast becoming a powerful force in the format. Hangarback Walker is popping up in Affinity lists, Day’s Undoing has kept the brewers busy, and even Pia and Kiran Nalaar has seen play in Jeff Hoogland’s pile of Standard staples. The long winded point I’m trying to make is: we’ve been spoiled, and we are blessed. Modern is in a great place right now. Lantern Control just won a GP, Slivers Top 8’d an Open, and the bogeymen of the format have been chased out of the village. I’ll give Wizards a three month pass. We need to wait and see what Oath of the Gatewatch brings us before making the final verdict on Battle for Zendikar. gives a lot of weight to this archetype that might be just what it needs to push it over the edge into tier 2. A synergistic top-end threat that can provide either tokens or anthems (depending on what we need) Gideon can even lead the charge, hitting hard and closing the game out quickly. B/W Tokens has always been weak to mulligans and disruption (either in the form of discard or Abrupt Decay) and Gideon serves as a strong, army-in-a-can type effect that can win the game on his own. Credit goes to recent SCG Premier IQ Top 8 competitor (and fan of the stream!) Will Krueger for the base shell of the list. Since the spoiling of there’s been a lot of discussion regarding its interaction with Knight of the Reliquary. Any land (or Knight activation) will get the ball rolling, triggering Retreat which gives us an untap (or tap) trigger. When used in conjunction with Knight of the Reliquary’s activated ability, we can burn through our deck, grabbing Forests (or Plains) to keep the cycle going, eventually resulting in a large Knight of the Reliquary (limited in size by the amount of Forests/Plains in our deck). Searching up fetchlands lets us pull ahead (as each fetchland gives us two Retreat triggers), letting us tap down opposing blockers. Sejiri Steppe serves as our last tutor target, giving Knight protection from blockers or removal (if we have a fetch or an untapped Knight, we can tutor for Sejiri Steppe to give protection at instant speed). It’s worth noting that fetching a Sejiri Steppe in the middle of our combo means we need to have an extra Forest or Plains on the field to sacrifice (as the chain will be interrupted), but this seems minor, as 17 of our 22 lands are either Forest, Plains, or fetchlands. In my opinion, this interaction fits best in a Bant aggro/tempo shell that can take advantage of Knight’s undercosted size and Retreat’s tempo-generating tap ability whether we have both pieces of the combo together or not. Geist of Saint Traft and Tarmogoyf both seem to be great fits (as their relatively cheap, hard-hitting nature plays well with our gameplan) and Geist in particular appreciates tapping down blockers with . Some lists I’ve seen plan on going bigger with creatures like Wilt-Leaf Liege and Thragtusk, but I’m interested in how far we can push the tempo plan with spells like Steppe Lynx and Remand. Steppe Lynx loves a landfall trigger I hear, and alongside seven-mana creatures we can be guaranteed to have a turn one play almost every game. I’ve foregone the Kessig Wolf Run splash, opting for Gavony Township instead, as it is better flood insurance and plays well with our plethora of dinky guys. Also the mana was getting painful and you need to cast Retreat and Knight, which Sacred Foundry or Stomping Ground can make awkward. The sideboard is rough and probably needs to change, but Crucible of Worlds re-buying tutored Ghost Quarters seems excellent against Tron/Amulet. Beyond that, there’s really not much left. Sheridan discussed in Scapeshift, and although I agree that it fits into the deck, it just doesn’t seem that exciting. A 3/3 hexproof isn’t the best clock, and Scapeshift is largely ignoring the opponent’s life total until they are suddenly dead. It’s inclusion in Temur Twin is much more likely, as the deck could use another source of green mana that contributes to Serum Visions/Cryptic Command/Dispel needs. The body isn’t exactly exciting, as Temur could play Treetop Village and hasn’t, but it’s possible that this has been due more to mana considerations than anything else. If a Treetop Village that also adds blue is what Temur is looking for, expect it to fit right into the deck (and Temur to turn even more tempo-based as a result). Sky Mason wrote an excellent write-up on Allies here, so I won’t repeat him. Positionally, Allies seems great against Burn, Merfolk, and other creature decks, but worse against Jund and removal-heavy control. I’m interested to see how it stacks up. seems awesome in these draw-go control decks that are floating around. The trade-off between Tectonic Edge and a land that can turn into two cards is pretty close, and I can definitely see one or two copies popping up in Jeskai and the more straightforward U/W Control lists moving forward. It’s possible a Bant Walkers list could exist (utilizing Gideon, Kiora, and Jace, Vryn’s Prodigy) but I imagine that deck has difficulty going toe-to-toe with Jund and Abzan. We haven’t played with the cards yet. While there are no “new entities” like the flip-walkers that we have to evaluate, it is possible that there’s something flying under the radar that we won’t see coming. I’m saving my final reservations for Battle for Zendikar until after the Pro Tour (when we will really see what this set is made of) but I’m still going to go ahead and give BFZ a C+. If can be a Tier 2 deck, maybe I’ll bump my grade up to a B, but I’m fine with that, because right now Modern is awesome. If another three months goes by where I can continue to cast turn two Tasigur, the Golden Fang, I’m happy. Let me know in the comments if you think I missed anything! I’d especially like to hear your thoughts on my Retreat Combo list, and whether you’d be interested in seeing me play it in my new Video Series once BFZ hits MTGO. As always, feel free to follow me on Twitter or stop by my stream and say hi! Thanks for reading. Good point, I’ve seen that deck pop up here and there (normally in Sam Black’s articles) and kind of forgot about it. Access to a second Blood Artist and the third Doomed Traveler seems to be what that deck is looking for (though I’ve always found that deck to be pretty underwhelming). If you end up working on the deck let me know what you find out! I don’t know how to edit but it seems you’re running 5 inquisition of kozileks in your 75 as well. The list looks basically like my list. I really hate zealous persecution after this weekend though, it was just lightning strike to players so much. Maybe kills a snapcaster. It’d be better if people were playing abzan instead of jund obviously. The only other thing is that you’re not running Sorin, solemn visitor who just wins games. Other than that it looks sweet, I’m super pumped for Gideon! Gideon is far far worse than Solemn Visitor in the tokens deck. Which normally shouldn’t even be playing Liliana, but I assume you’re looking at Shahar’s Worlds list (or mtgo decks that were looking at it) without taking any sort of context under consideration. But regardless, Gideon is rather… crap. Sorin isn’t actually there to be -2ed, but even then he is better, because his dude has evasion. The assumption that the token-producing walkers are played for this ability shows a big misunderstanding of both the deck and the general approach to the strategy. So… I guess what I’m trying to say is to keep to what you’re good at and don’t make yourself look silly only for the sake of discussing playability. Beg to differ. Gideon is going to be an all star. 5/5 for four that can pump out dudes is what this deck needs. It even helps in the matchups where we need to apply a clock (Literally any tron deck or the UW control decks that are showing up). I agree Sorin needs to be in here somewhere but 2 copies should suffice. Liliana is also a house against any deck looking to grind. I’m questioning if you even play tokens.. If you do I’m sensing a bit of “I don’t want to buy Lilis” fever. Agree in general – I didnt want BFZ to shake modern upside down since that’s basically what khans block did, I just wanted love for goblins, vampires, and allies to bump them into tier 2 territory (goblins may already be there). Another card I’ve seen thrown around in KOTR lists is Rogue’s Passage. It’s brutally expensive but it’ll get the knight through on the lethal turn while letting you keep a land back for sejiri steppe (crack fetch, landfall untapping knight mid combat, sac land fetch steppe). I’m personally going to look at lotus cobra and swords alongside geist/kotr/retreat/hierarch, cobras and birds make wolf run easier to run while also giving you a mana sink. I think gavony is probably wrong here since it does not help your kotr punch through and if you steppe to punch through you may get blown out by abrupt decay etc. I also like apostle’s blessing in this deck as a way to punch kotr/geist/sworded dork through blockers and protect kotr from removal like decay. I’ve seen a few lists with Lotus Cobra, if I had that amount of mana generation I would definitely be interested in playing a few more expensive cards like Thragtusk, etc. I think Gavony Township is probably best in my list, as I’m very tempo-oriented and have the Steppe Lynx’s that would love some counters. Other lists that aren’t playing Lynx would probably be more interested in Rogue’s Passage/Kessig Wolf Run. We’ll just have to test them out and see! Nice article, and I love your take on the Coralhelm Bant deck. I had completely forgotten about Steppe Lynx, but it fits the deck like a glove. Have you considered Collected Company as a more beatdown-oriented backup plan? All of your creatures are CMC 3 or less, after all. I think that Gideon, Ally of Zendikar has potential in BW Tokens, but I don’t think it’s going to be at the expense of Sorin, Solemn Visitor. The reason why is because Sorin’s main job in the deck is not to pump out 2/2 fliers, it’s to give mass pump and especially lifelink to a deck that has a lousy Burn matchup (due to its lack of speed out of the gate) to begin with, and frequently makes it worse by running Bitterblossom, fetches, shocks, and the occasional Dismember. I’d cut Elspeth much sooner than I would Sorin, and I’m honestly a bit meh on Liliana (her +1 is a bit of a non-bo at times). You know how Lantern Scout looks good? Imagine one that you can repeat every turn without needing additional cards – that’s Sorin. Regarding the comment on Allies… You think it matches up well against Burn and Merfolk? I brew Allies, and I actually see the deck as rather weak to both. Merfolk is going to bounce/Dismember your guys early and often (especially the ones that collect +1/+1 counters, since those are the most painful ones to lose) and then you have to race them – a race you are ill-equipped to win, especially post-board (if you don’t get 2+ activations of a Kabira Evangel in a game, you’re probably doomed). Lantern Scout helps out a bunch against Burn thanks to having a decent body and mass lifelink, but you still have to get around Atarka’s Command or Skullcrack, and that can be a 50/50 proposition. Moreover, a deck that’s dependent on getting creatures into play repeatedly is not going to like seeing an Eidolon of the Great Revel (and Vial decks don’t like seeing Destructive Revelry). Allies figure to be an explosive-but-inconsistent aggro deck, which usually manifests itself as being a bit slow, and against the fast, redundant, and consistent aggro decks of this format, that is death. As Allies, I like my chances against midrange and control more than I do aggro – Allies has quite a few tricks to win grindy games (Vial, Company, Lantern Scout, Ally Encampment), and your creatures will scale with theirs (if not larger), unless they deal with them. They also Merfolk’s penchant to win 1-on-1 heavy games by simply having more threats than they do removal. My interest in Gideon is based on his perceived power as a stand-alone threat. In the article I talk about his power as a “strong, army in a can type threat that can win the game on his own”. I am aware that Sorin’s primary use is not to make tokens and you’d much rather be pumping a board. I like that Gideon can do that if that is what we need, but he can make tokens or just start hitting if the situation calls for that. In exchange for lifelink, we gain versatility. It’s worth testing, at least. Who knows whether we might want to move back to Sorin in the future? It’s worth exploring. Honestly, I’ve mostly been interested in giving a one of slot to either Void Winnower or new Ulamog in Mono Blue Tron, maybe even try Ugin’s Sanctum somewhere in there. Modern IS amazing at the moment. Instead of whinging, players should be applauding while wizards takes a bow. They have essentially set out what they proposed to do: create a non-rotating format without the card availability issues of legacy. The metagame is more wide open than in the immediate aftermath of the pod/cruise/dig banning 8 months ago. They’ve nurtured a format with relatively powerful interactions that reward deck and metagame knowledge. This cannot occur if power creep for non-rotating formats is demanded every set. There will always be people complaining that modern is too expensive, too deck-choice dependent or not powerful enough. I wish those people would either move to legacy, standard or pauper, because the vocal minority seem to rule reddit. Even if not a single card from BFZ appears in a modern tournament, the modern metagame is still evolving currently from the vast changes from the last 4 sets. The meta isnt anywhere near figured out. The Knight of Coralhelm deck looks fun; Lynx seems a good edition giving you two creatures that can attack for lethal. I would watch a video of you playing the deck. Never mind, I had a brain fart on Steppe Lynx. It does seem pretty insane if you have one around to go nuts with. It’s possible that Remand isn’t where we want to be, and we’d rather just be casting Collected Company. The one issue with that is we’d only have about 20 hits (12 spells, 21 land, 7 mana dorks we don’t want to see) but with a second Gavony Township it could be a strong plan against removal. Possibly we want the Remands in the board and the Company maindeck. It’s interesting that Company works great alongside Remand (as we can’t really hold up mana for anything else besides Company, which telegraphs our play) but the list can’t afford both without looking drastically different.